Ballet dance steps require quick footwork, coordination and most importantly practice. The technique of ballet allows you to move with speed and energy, but even professional dancers have to practice to make the steps look like perfection. The ultimate aim is for ballet steps to be light and controlled, so it is like no effort at all. This skill is hard to master and all part of the challenge for dancers. Once you have grasped the basic technique of ballet, the ballet dance steps will gradually come with more ease. Each and every step has an exact method of how to do it, so you will find ballet is actually very logical. When you do the steps the right way, you are making it a lot easier for yourself. Ballet is made up of many dance steps and it takes years to make the steps look so effortless. Ballet dancers aim to have quick and neat footwork, but it is a technique that only comes with practice. 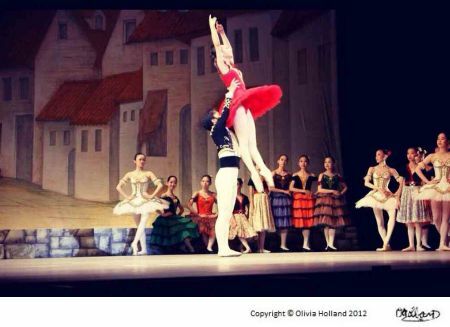 In each classical ballet production, there will be familiar ballet steps you recognise. For example, pas de bourrée couru is known as a running step. It is used a lot for ballerinas on pointe and it is series of small steps with the feet close together. The term 'Pas' is often used in ballet which literally means 'step', so it involves a transfer of weight and is a simple movement. Pas de chat is another ballet dance step, which is a leap in the air where the legs pick up underneath you. The term is translated as the "Cat's step" in French, so imagine you are like a cat leaping off the ground with lots of energy. For all the ballet steps, if you grasp the co ordination of the legs and the arms moving together, it makes you move easier and faster. Especially in jumps, the coordination can help you get higher off the floor. There is a 'correct' way to do each step and if you don't do it right, it can ultimately weaken your technique. You have to follow a very pure technique and be disciplined in yourself. For example, lets say you repeat battement tendus to the front and the leg is in the wrong alignment. Most likely, you won't be using your inside thigh muscles enough and therefore it won't be strengthening your key muscle for stability in the ankles. You see what I mean about logic? Ballet does have a reason for being so strict and if you follow the rules, it will only make you better as a dancer. Sometimes, it feels too easy to give up and do the steps the easier way. For example, in a pirouette from fifth position, it is really tempting to slip the fifth to make a better turn. Even as a professional, I still find myself slipping into this bad habit. However, 'cheating' does not do you any good in the long run, so you have to be disciplined enough to do the steps the right way. Especially for female ballet dancers, quick footwork is required because there is a lot of pointe work in performances. 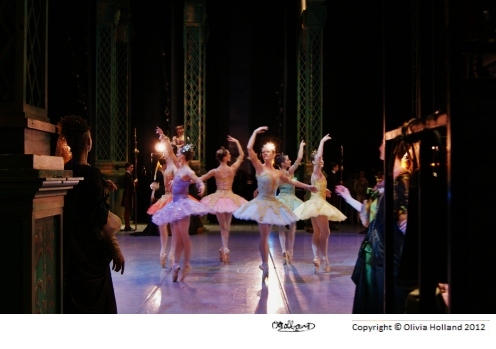 There are many intricate ballet steps in a performance and the dancers have to have many hours of rehearsal to perfect the steps. If you focus on giving every step full value and commit to it, it will make your dancing look 100 times more precise. After all, that is what a ballet technique strives for - clarity and perfection. It takes years of training to produce a dancer but once you are sculpted in the form of a dancer, the grace of moving is something that stays with you forever.